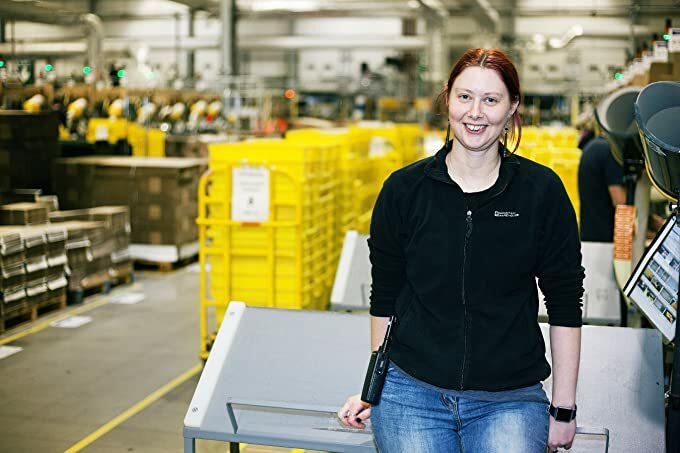 Amazon associates working in fulfilment centres across the UK shared their thoughts and feelings about why Amazon is the right place for them. Rebecca Mowat (above) has been at Amazon in Dunfermline for over two years and is currently working in the Learning & Development team, training associates into specialist roles. Cara Eaton (above) has been working at Amazon for three years and is a Learning Co-ordinator in the Peterborough FC. Cara feels 100 per cent more confident than she has been in any other job; she believes that is down to the pride and satisfaction she feels working for Amazon. Jessica Johnson (above) joined Amazon in 2015 and currently works as an IT technician at Rugeley FC. Jessica explains how Amazon's Career Choice programme continues to make a difference to her professional life. Amazon has an amazing selection of opportunities for the right candidates. Take a look at the current vacancies they are offering at an exciting time in the company's growth.